As life moves forward, the needs you have for your home will inevitably change. Changing your environment to better suite your needs is at the heart of Architecture, so this is something we really enjoy helping with. Whether you simply need more space, or you have more specific needs; good design can ensure a house alteration or extension is more economical than moving. Existing houses often fall short of the space and layout requirements of modern living. Common issues include; small kitchens, insufficient bathrooms, and a lack of connection to the garden. These can usually be addressed by making Internal Alterations, which should be designed to ensure the solution presents good value for money. 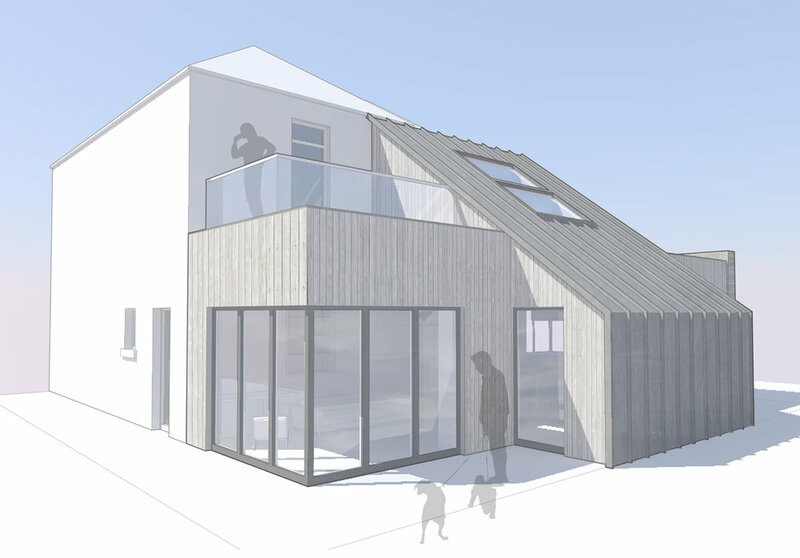 House extensions can be all shapes and sizes. Making sure you get what you need, is also complemented by making sure you like what you get. This is why tuning-in to individual clients’ tastes, hopes and aspirations, is so crucial to our approach. This can be is done by sharing reference images on websites such as Houzz and Pinterest, or it can be more effective to sketch multiple options for discussion. It is important to ensure light continues to penetrate into the existing property when extending. This is a key feature of many projects, but can be readily seen in the Back to Front House we designed for a family in Midlothian Edinburgh. Whatever the specifics of the project, we love meeting new clients and designing to not only meet your needs, but also your tastes, hopes and aspirations. Please feel free to Contact Us if you have a project you would like to discuss.